Not only human beings like us look for an affective link with our peers, but also, many species of the animal kingdom share their love and fidelity for life. It is known that some animal species such as the hippocampus or sea horse and the penguins, are monogamous, which means that once they get a couple or a pair they remain with the same one forever. Some experts say that this is not completely true, but we know that in nature everything is possible. Here we share with you the list of the 5 most loving species of the animal kingdom so you can inspire yourself this valentine's month and manifest all your love and fidelity to your loved one, your family and/or all your beloved ones. 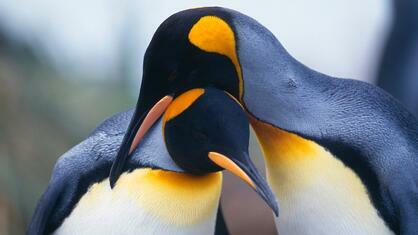 Penguins are a symbol of romanticism, they may walk many kilometers to find their better half. When they find it, they will never ever be separated, they spend all their life together and both the male and the female take turns to hatch their eggs, feed and raise their newborns. 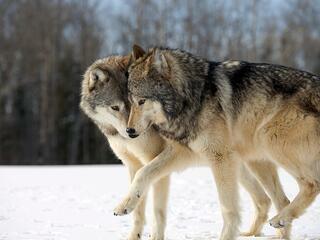 In spite of being a wild animal, the grey wolf is a sweet, protective and very devoted animal with its family. Its family relations are even more faithful than the ones of the human being. The pack of wolves is formed around a wolf, a she-wolf and their puppies, where a protection circle for them is created. 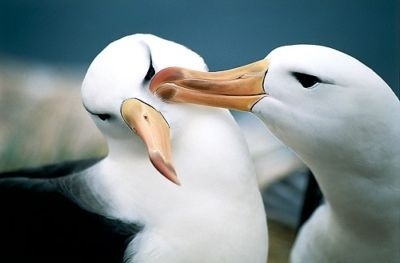 Albatross take their time to choose a couple, even years. They dance with several candidates, until they choose one of them and keep on dancing for several minutes synchronizing their movements. Once they find their adequate couple they form a long-life link, for around 50 years, and it only ends when one of them dies. It is very rare that monogamy exists among fish, but it does. 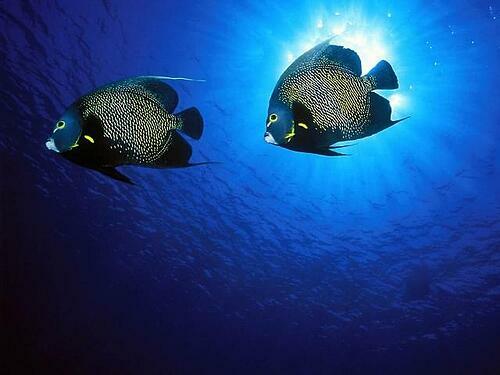 The French Angelfish is a clear example of it. They literally choose their couple for life. This beautiful fish of live colors may be found at the Cancun Interactive Aquarium, and you can discover how it does everything with its couple. They go out looking for food and act as a team when they want to protect their territory from possible external menaces. The most monogamous and loving of them all is, undoubtedly, the sea horse. A study discovered that Australian sea horses (Hippocampus whitei) form long lasting and exclusive couples and this strong bond only ends if the other pair disappears. Many legends about this unconditional love of sea horses exist, because it is said that they choose a couple for life, and if one dies the other one dies after it in a very short lapse of time. This is why it is said that sea horses die of love. 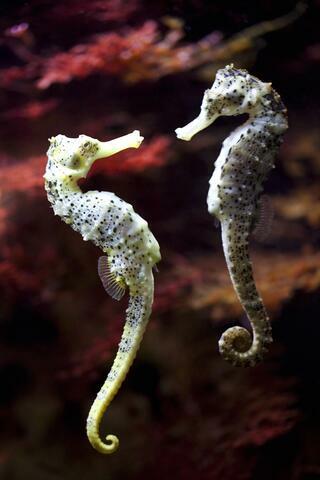 Sea horses have a very tight monogamous relationship, full of physical contact and cluttered with hugs and caresses. Their delicate synchronized dance may last up to 8 hours a day and according to the scientists it is done to rehearse the posterior phase of conception. How sweet!!! And how beautiful is love!!! Both men and women should learn how nature itself sets the example of true love and fidelity. If you know more animals that swear each other everlasting love, tell us about them in a comment.